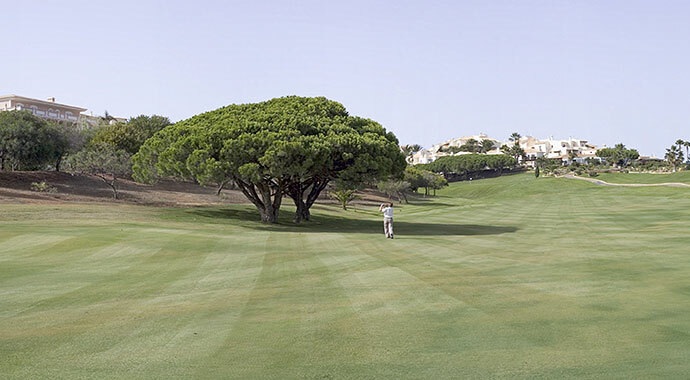 Golf Santo Antonio Resorts is the ideal choice for an Algarve golf holiday or golf break. The Quinta da Floresta golf course is one of the most renowned golf courses in the Algarve, and is sure to challenge the most avid golfer. 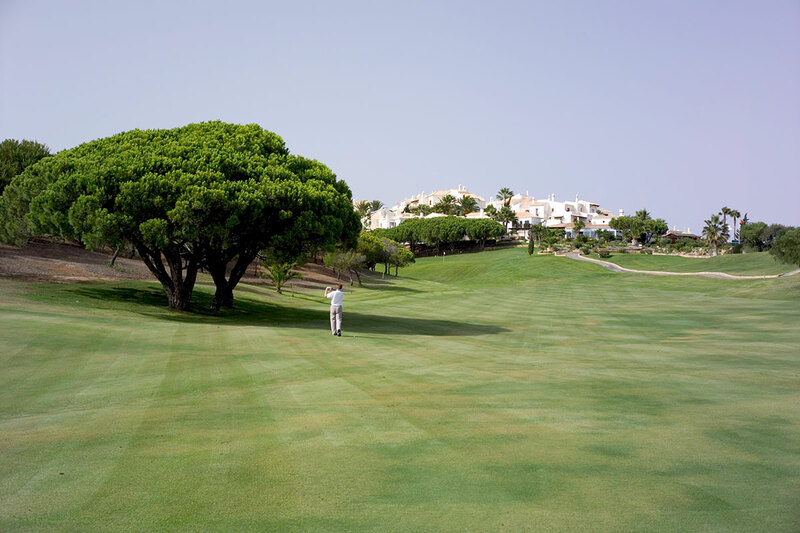 The golf course, designed by distinguished Spanish architect Pepe Gancedo, boasts splendid views across the holiday resorts and through the rolling Algarve hills and countryside, down to the sea. The holiday villas at Quinta da Floresta, Quinta da Encosta Velha and Quinta do Montinho surround the golf course, many with terrific views across the course and all just a short buggy ride from the first tee. The 18th hole is overlooked by the Spike Bar and Restaurant, from where you can relax after a hard day golfing, whilst the Quinta da Floresta swimming pool and Spa are situated just 100 meters away. 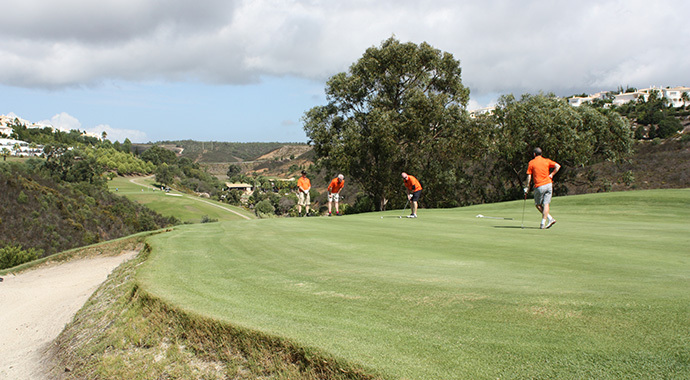 Our reservation team can arrange your Algarve golf holiday or golf break to your specific requirements. 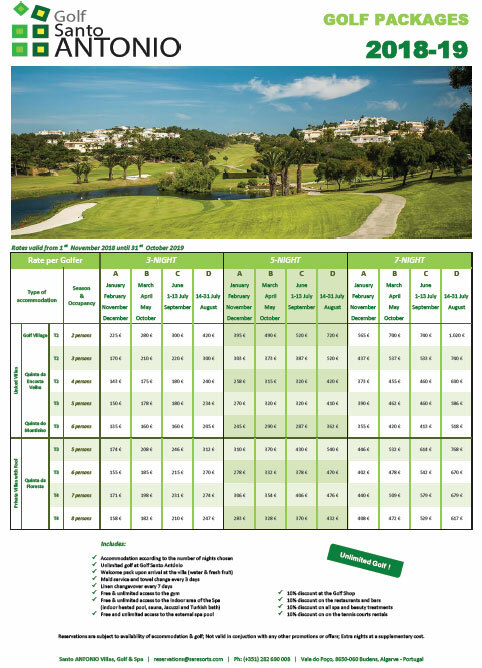 Alternatively, take advantage of our tailor-made Algarve golf holiday packages below.